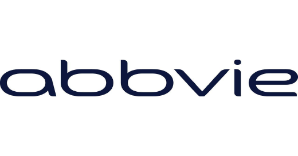 AbbVie Biotherapeutics, a center of innovation in oncology R&D located in Redwood City, California, is seeking a computational biology/bioinformatics scientist to play an integral role in a multi-disciplinary team focused on developing new therapies for the treatment of cancer. AbbVie has a bioinformatics program which spans multiple locations and therapeutic areas. This enables our capabilities to be leveraged from the perspective of a research community: a shared code base, innovative project engagement, and an extensive mentoring and development program that combine to create a vibrant and exciting career opportunity. The successful candidate will provide computational biology support to a team of highly skilled immune-oncology scientists and interact with peers across a very collaborative and science-driven organization to create, investigate and characterize novel therapeutics. This will involve formulating and answering biological questions using complex datasets, large population cohorts, and our own clinical trial data to create and assess novel computational solutions, while contributing to novel discoveries and helping to drive the best programs forward in the clinic. Analysis – Interrogate large scale –omics data from both pre-clinical models and clinical samples in support of new therapeutic discoveries for the treatment of cancer. Build – through your own efforts or by working with software engineers to develop world-class bioinformatics capabilities (genomic databases and analytics software/pipelines) to support a dynamic oncology pipeline. Bachelor’s degree and typically 10 years of experience; or a Master’s degree and typically 8 years of experience, or a PhD. Degree should be in Biology, computational biology, bioinformatics, or similar field with a thorough theoretical and practical understanding of this field.